There is an illusion of effortlessness that is created by certain real estate brokerage schools, real estate brokers and agency directors. The same from biased interpretations of publications made by the OACIQ (Quebec’s brokerage regulatory board) and other real estate boards. This has led many to pursue a career in real estate for all the wrong reasons. Too many brokers choose to be brokers for the financial mirage it creates as opposed to a real passion for the industry. The other trend we see, is a broker in his or her first year, going at it full force. They exhaust their mind, body and bank account. This usually does not deliver the desired or needed results to survive a second year. The trick is to be strict with ones self and have military like discipline. We often see the broker with many listings, the fancy car and their faces on every billboard. What we don’t see is how low his commission are on some of his listings, that he takes on anyways just to give the illusion he is busy and in demand. All the money we spend to give the illusion we are successful is often the beginning of a broker’s demise. The following years, income drops drastically and too often, they are no longer able to sustain the lifestyle. It’s a sad and even shocking reality, but most real estate agencies operate under a principal that even though a broker does not make money, the agency does. In an interview once, someone told me they had made $50 000 in commissions the year before. But brace yourself, because the broker had to pay a whooping $30 000 in expenses (monthly rent, percentage of commission from sales, royalty fees to the mother company etc.). This means the broker only took home $20 000 at the end of the day! Some agencies charge as high as %50 in commission fees. Sadly most brokers don’t get much in return and are left with empty promises and pockets. Luckily, not all agencies operate the same way. At McGill Real Estate, we sincerely believe we offer the best quality/price ratio that directly affects your success in this industry. We are very selective in who we hire; many get called for an interview, but few are chosen. 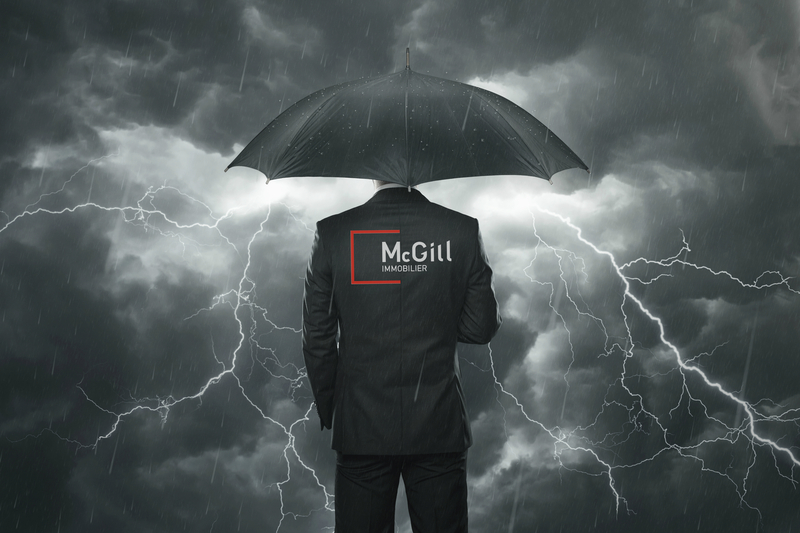 At McGill Real Estate, we specialize in choosing the best.